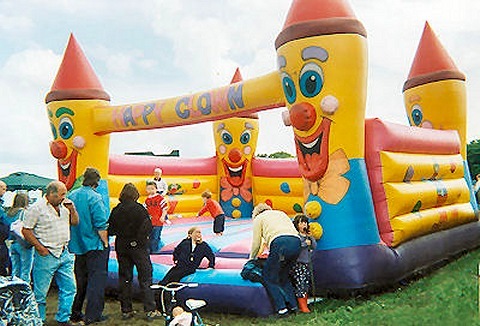 Whatever the event we have a large range of adult inflatable bouncy castles and inflatable games for you to choose from. 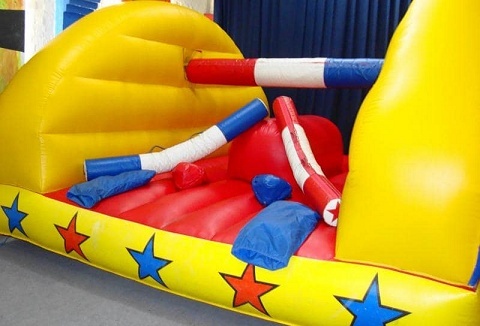 Our inflatable range includes inflatable slides and fun run plus a range of activity games; gladiator jousting and air table football. 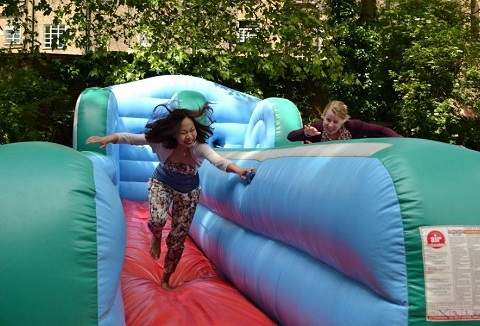 We provide a wide range of inflatables for adults and children from, inflatable bungee run, inflatable human table football, inflatable obstacle course, mega slide, rodeo bull, hot tubs available to hire. Open 7 days a week. Call today so you can play. Whether your holding an outdoor event or fete, corporate fun day or just looking for something bigger then our large inflatables and games will help complete your mission. From assault courses to base jump, sports arena to zip wire we've got it covered. Whatever the event or occasion we have a range of inflatable games for all ages groups including inflatable rodeo bull suitable for age 4 & up; jiggle the ropes to see if the rider falls off! Human football, demolition zone, gladiator pillow & bungee run. 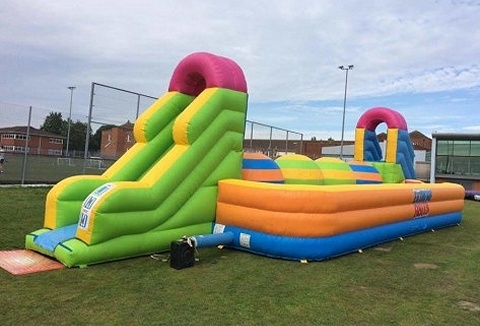 We provide an inflatable castle and activities hire service for events and pride ourselves on working closely with you to make sure your event is a success. 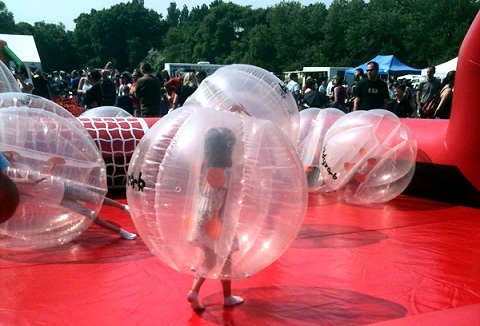 A range of bouncy castles and inflatable activities including Disney Dome manned by professionals. Whether you are organising a public, private or corporate event we're sure you'll find everything you need to keep your guests entertained. 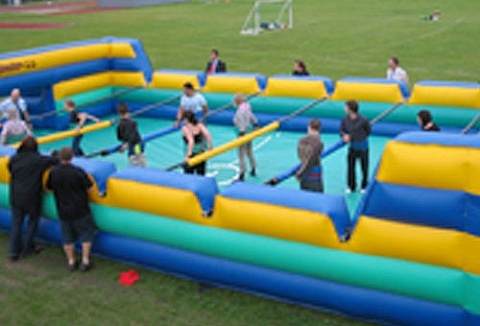 We own, hire and operate a range of inflatables; bungee run, helter skelter slide, gladiator duel to sumo suits. 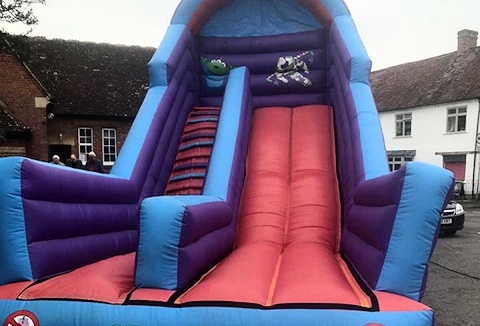 We are a friendly and reliable, family-run bouncy castle hire company offering a versatile range of bouncy castles and themed inflatables: 25'x15' mega slide, 23'x25' giant bouncy castle ideal for all ages, smaller inflatables, assault courses and games. 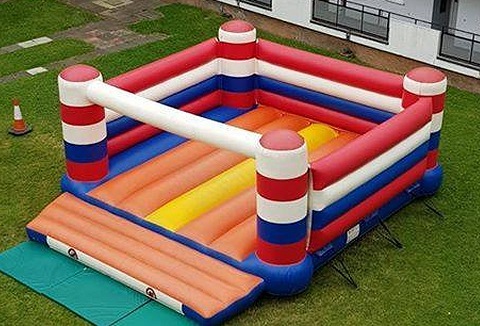 We have a large amount of inflatable's for hire, from the 8'x8' castles to one of the biggest bouncy castles on the market at 30'x30' to bungee runs, slides, gladiator duels, beat the keeper body zorbs. Full range on our website. Supplied with blowers.